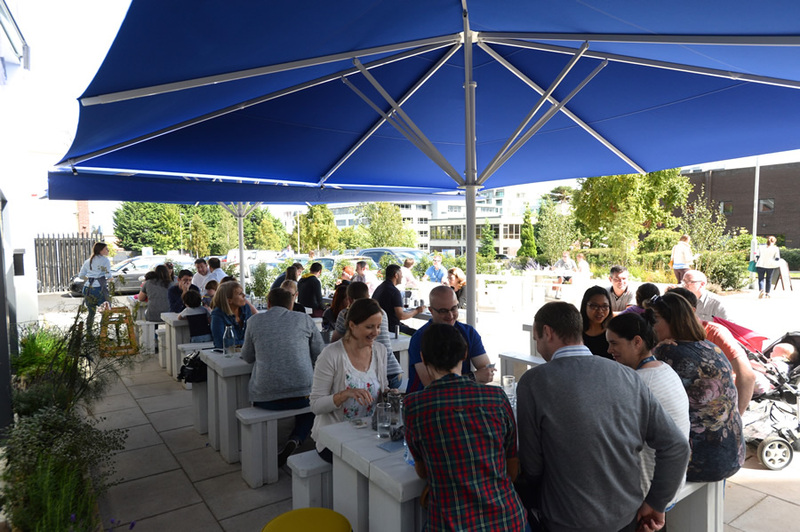 A relaxed yet vibrant all day dining venue in the heart of Sandyford Industrial Estate. 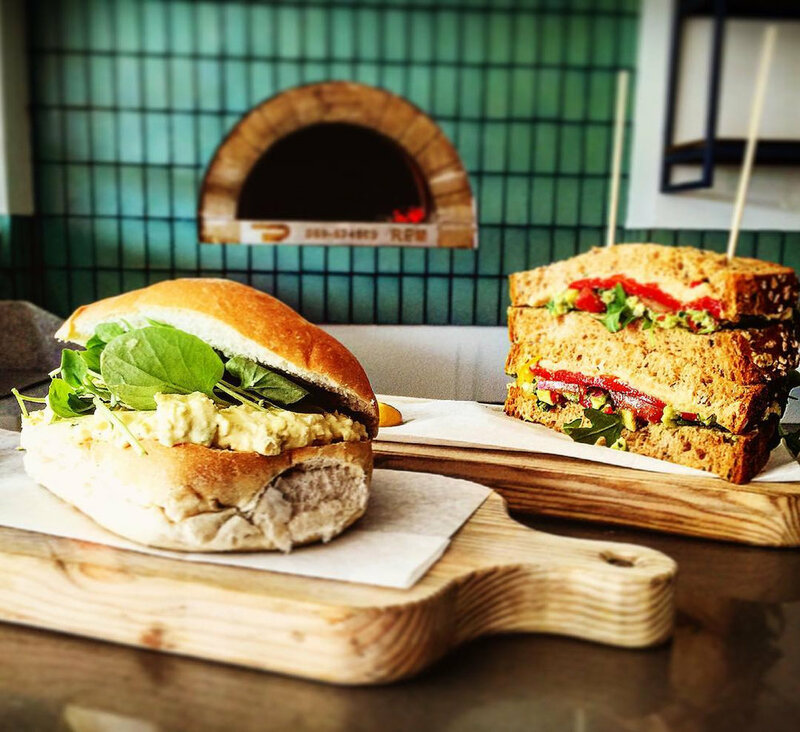 We are three siblings with a passion for fresh ingredients, exciting flavours and contemporary takes on classic combinations. With over 30 years experience catering for clients such as O2, Microsoft, Google and Facebook, Woodfire & Green is our vision for a neighbourhood hangout with a modern twist. Our aim is simple - great food and delicious coffee served with a warm welcome. Woodfire & Green has a range of private hire and catering options. With a fully equipped boardroom, upstairs private function room as well as catering for informal group barbecues, corporate events and private parties, we can tailor an individual experience for your needs. Visit our Events & Catering Page for details. A SELECTION OF FRESHLY BAKED HOUSE MADE PASTRIES, SCONES & LIGHT SNACKS ARE AVAILABLE FROM OUR COUNTER TOP. Please see our specials board for details When it’s gone, it’s gone!! Saturday Brunch - Clear your head from the night before with our Dirty Big Burgers, Spicy Chicken Wings, Amazing Eggs Benedict, Woodfired Gourmet Pizzas, French Toast, and Bacon (always bacon!) and Bubbles - lots of Bubbles! Watch this space for Bottomless Brunch, our Cocktail Menus and much more! 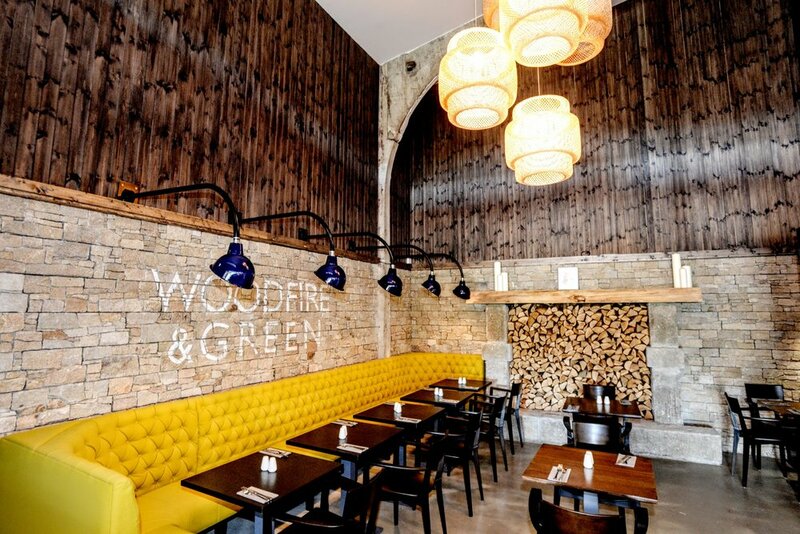 You do not need a reservation at Woodfire & Green, but if you would like to reserve a table or make a group booking, we'd love to hear from you. Call (01) 555 4434 or use the online form below. All our food is locally sourced where possible and developed in-house, using pickling, fermenting and smoking techniques. With over 30 years experience catering to prestigious clients such as Facebook, Google, Microsoft and Twitter, we want to bring our vision for great quality, fresh and exciting food to Sandyford. It was our mother, Collette, who started this journey when she set up Knights Catering over 30 years ago. Together with our father, Roger, they set out to build a new type of catering company. They embraced exciting flavours, experimented with bold techniques and constantly strove for perfection. Collette was the ultimate foodie - she lived and breathed for food! Together with our Dad, we aim to maintain her (very high) standards and honor her passion for the joy and comfort that food can bring. 19 Corrig Road, Sandyford Industrial Estate - we are located behind the Beacon Shopping Complex, opposite Enable Ireland. Less than 5 minutes walk from the Stillorgan Luas Stop. Woodfire and Green are delighted to be the official Post Race Venue for the Spirit Twilight Run in Sandyford on September 29th. Sign up to our newsletter for special offers and receive exclusive access to our "First Tastes Club" - complimentary meals to get your feedback on our kitchen experiements. We respect your privacy and never share your contact details.